OM International Machine Tools Batala Punjab is India’s no.1 Grinding Machines Manufacturer and Exporter. Grinding Machine India covers all Indian states under its work area. 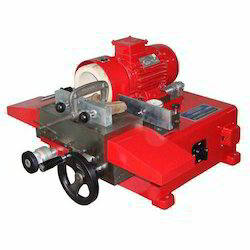 Grinding Machine can be getting at cheap cost from us. 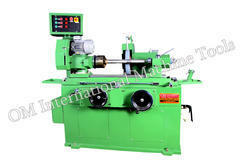 Backed by an adept team of professionals, we are offering a wide range of Crankshaft Grinding Machine. 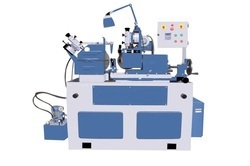 The offered machine is manufactured with the help of supreme grade components and high-tech techniques in adherence to set industry norms. Our offered machine is suitable for grinding work in different industries. We offer this machine to our clients in different specifications for our clients to choose from. Outfitted with a modern infrastructure, we are the most prominent manufacturer and supplier of optimum grade Surface Grinder Machine. The offered machine is suitable for surface grinding of various hard materials in different industries. It is manufactured under the surveillance of trained professionals using premium quality components and high-tech machines in adherence to set industry norms. Clients can avail this machine from us at market leading price. Utilizing the most modern technology and latest machinery, we bring forth the wide array of Centerless Grinding Machines. These machines are manufactured under the visionary guidance of trained and highly qualified engineers using basic components that are sourced from trusted vendors in the market. 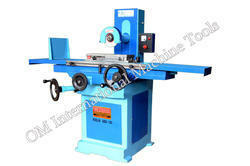 Our offered machines widely used for grinding work in different industries. Further, these are strictly checked on different quality parameters assuring their flawlessness at user’s end. Being the most respected organization guided by experienced and knowledgeable professionals, we provide an enormous assortment of Hydraulic Surface Grinding Machine. The offered machine is manufactured under the visionary guidance of trained professionals using optimum grade components and advanced techniques in adherence to set industry standards. 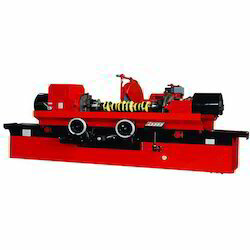 Our offered machine is widely used for surface grinding of different material. Outfitted with a modern infrastructure, we are the most prominent manufacturer and supplier of optimum grade Grinding Machine. 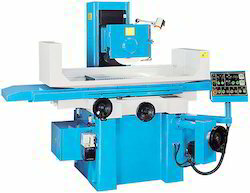 The offered machine is suitable for surface grinding of various hard materials in different industries. It is manufactured under the surveillance of trained professionals using premium quality components and high-tech machines in adherence to set industry norms. Clients can avail this machine from us at market leading price. With the aid of our high-tech infrastructure, we are able to manufacture, supply and export Cap Grinder Machine. Manufactured in adherence to the international quality standards, these machines are designed as per the requirements of clients using the fine quality material. These offered machines find great usage in the automobile industry for grinding the connecting rods. Appreciated by our large client base, the offered Cap Grinder Machine is supplied to different parts of the world within the promised time limit. Net / Gross Weight 36 Kgs. / 51 Kgs.